You used to be fine just buying a security solution for your desktop computer, because it was the only portal to the Internet that you had in your home. But today, the number of household devices connecting to the Internet has exploded, and now you have to worry about protection for your computer(s), tablets, and smartphones. Do you have to run out and buy a package for every device? 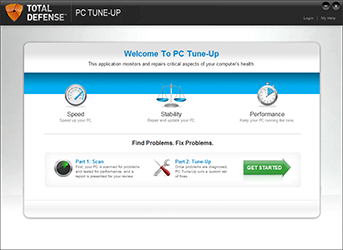 Not if you grab a copy of today’s discount software promotion, Total Defense Unlimited Internet Security Suite! Total Defense Unlimited Internet Security Suite is a comprehensive subscription-based solution that covers all users and devices in your household with optimization, backup, and digital security safeguards. With Total Defense Unlimited Internet Security Suite, you’ll be shielded against all forms of malware and other threats, no matter if you’re using a computer, smartphone, or tablet. 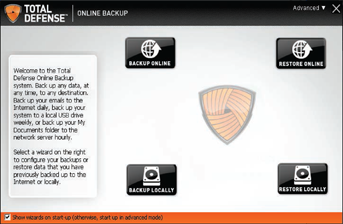 What’s more, your enjoyment of your computer will be boosted on a massive scale, thanks to optimization and backup services only available through Total Defense Unlimited Internet Security Suite! Imagine being completely protected from viruses, data loss, phishing, identity theft, and a host of other threats on all of your devices! 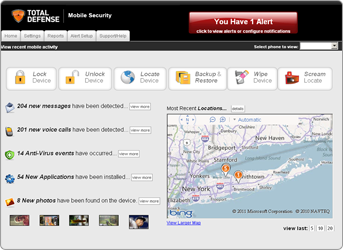 Device-specific advantages include the ability to locate, track, and lock your lost or stolen phone. Best of all, parents using the Total Defense Unlimited Internet Security Suite have access to Parental Controls, letting them protect kids from cyber bullying, online predators and offensive content! 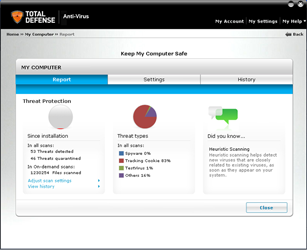 After you purchase Total Defense Unlimited Internet Security Suite, it may be used for 12 months. After you purchase Total Defense Unlimited Internet Security Suite it may be used for 12 months and will not function after that unless you renew your subscription.